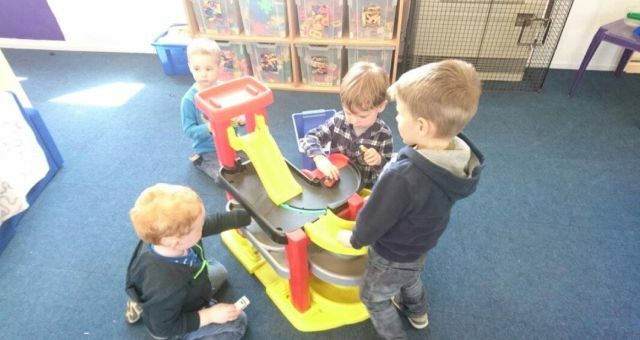 Welcome to Cylch Meithrin Y Felinheli a Welsh medium playgroup for children aged 2 and a half to 5 years at the Caban Clyd at the rear of Felinheli School. The Cylch is managed by a voluntary committee and is a member of the Mudiad Meithrin (MM), which is the National Welsh Nursery School Movement. We abide by all the rules, policies and regulations of all Social Services Inspectorate for Wales (CSSIW). All staff members are vetted by the criminal record bureau and have relevant childcare qualification. The Cylch is management committee ensure that a high standard is maintained by undergoing regular staff training. The Cylch is a registered non-profit charity and relies heavily on fundraising and children's fees that must cover the cost of salaries, day to day running costs and equipment. We have fundraising activities organised throughout the year. Have a look at our calendar!